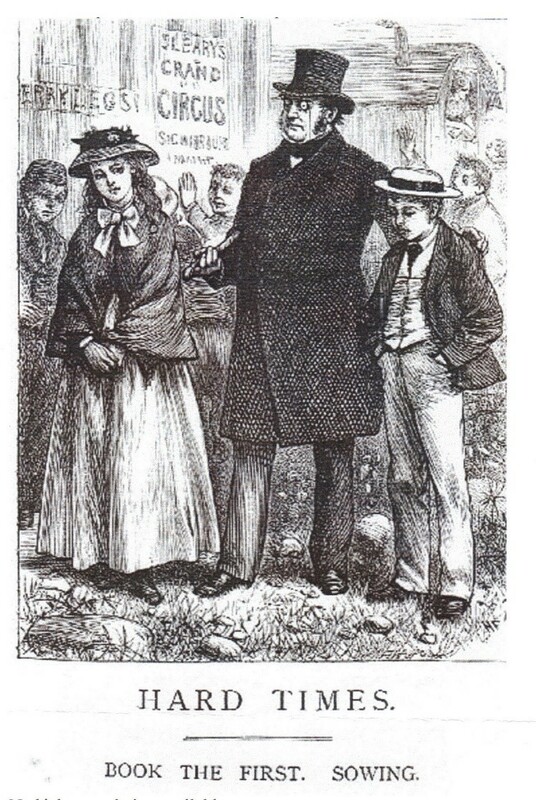 The famed opening scene from school master Thomas Gradgrind’s classroom described in the book Hard Times highlights author Charles Dickens view of the shortcoming of Victorian education and society at large. “In this life, we want nothing but Facts, sir; nothing but Facts!” repeats Gradgrind. The industrial revolution had wreaked havoc on what was once an agricultural society throwing it into turmoil and creating a host of new social problems. Gradgrind’s philosophy was the philosophy of the age, the mind-set of progress and seen as the worldview of the future. In the following interaction with one of his students Sissy Jupe, Thomas Gradgrind’s pedagogy is clear. Of course we know this to be ridiculous. Gradgrind is straining educational gnats and missing the camels. Today education seeks to do far more than just teach facts. Educators and societies worldwide regognise that an education reliant on facts and content alone would fall far short of satisfactory, as any teacher faced with producing a rubric that pushes learners to achieve all six forms of Bloom’s Taxonomy in a single task will know. However I would argue that this passage from Hard Times, and indeed the whole book, has relevance for education in post-apartheid South Africa today. In a land currently blighted by poverty, plagued by xenophobic based destruction, and distracted by statue defacement, to name just some of the current issues, it would not be unreasonable to state that there are parallels in terms of social upheaval with Victorian Britain. Economic growth and prosperity have left many behind and there is a sense that education seems not to have come close to dealing with the issues. It is not dealing with the camels. Many schools face significant pressure to achieve a level of academic results through deleiviering of the curriculum, both content and skills based. In addition schools can fall into the trap of keeping up appearances through sporting results or other performances. This is not enough. When I was involved in teacher training in Zimbabwe I often reminded teachers and prospective teachers that Robert Mugabe also went to school. I wonder if his teachers had known that one day he would lead the country how they might have done thing differently. Would they have spent so long on the understanding split infinitives or algebraic equations? Would the periodic table suddenly seem so important? What would they have done differently had they known? What would we do differently if we could know now? This is true, we have failed to provide even this basic level of understating and knowledge, but we are failing at a deeper level too. As schools we continue to be in danger of forgetting what is really important as we deal with young people. Facts, knowledge and skills are only a part of what South Africa needs. Later in Hard Times Thomas Gradgrind’s wife talks to her daughter Louisa. If we only focus on the academic or performance of our students we are in danger of missing or forgetting something (not an ology at all) but something that is perhaps most important of all, to be kind. To raise ourselves above the level of reasoning animals that Gradgrind insists we are, to be fully human and humane toward one another. Teachers and schools must make the effort to raise the standards to which we hold our young people to. For South Africa to move to a post Xenophobic society we need to learn to be kind, tolerant, just, disciplined, honest, forgiving, compassionate, caring, hardworking and to listen. No curriculum can deliver that, it is held in the hearts of teachers, parents and other concerned adults. So yes we need some to understand that South Africa’s troubles will not be solved by attacking foreigners, or throwing faeces on statues. And yes we need others to understand that as Jansen goes on to say, “As the poorest of our citizens continue to feel left out from any post apartite dividend, subjects of scorn will multiply – foreign nationals, monuments, street traders – and the tactics of the opprutnie will horrify”. But more importantly we also need to learn to be human. To do these things we need educated teachers and we need teachers with heart. Teachers who can work in the zone beyond the hard facts of exam and sports results, who can withstand the pressure of the hard numbers of enrolment and finance. Who can help students understand these issues and the show them how to grapple with them through experiencing and practising soft but difficult skills, attitudes and mind-sets. No curriculum can do this, nor can any syllabus, only another human being can make an impact on a young person’s heart and mind. In a more recent article ‘Don’t leave us to ourselves’ Jansen says to foreign national students, ‘We need you, in other words, to make us more fully human.’ (Times Live 17th April). Getting rid of foreigners is not the answer, the solution lies in our hearts and souls and the opportunity to become fully human. Our school are first and foremost communities full of human beings, all learning lies in relationship, particularly the deep learning that we are talking about here. We are not delivering a product or an economic unit, we are dealing with the hearts and souls of others. In the midst of all the trouble these past few weeks there have though been glimpses of that what makes us human, as people have come to the aid of those in need. One example that sticks out in my mind took place in my home town of Howick. Two young Congolese men were set upon near a fast food restaurant by a group, one of whom went at them with a spanner. Local taxi drivers saw what was happening went over and put a stop to it. Later when the taxi drivers were asked about it they reportedly said, “there’s no place for xenophobia in Howick” I would love to know who their teachers were. As educators we need to do two things. Firstly we must take some time and make the effort to educate ourselves more thoroughly about the history of this country, to better understand the frustration of its people and the complexities that underlie the current events, so that we in turn can help our young people grasp the reality around them. We owe it to their future selves. I personally have a lot to learn in this regard. Secondly as the new term begins I encourage you to look out at the young people in your class, or tutor group, sports team or assembly next week and take a moment to consider who they might become and where they might end up. President, politicians, journalists, doctors, conservationists, lawyers or a taxi driver who intervenes to protect a foreigner. South Africa needs more of those.